I am now trying to give an overview of all that is known to my knowledge on the never ending story on POTF and MEC Yoda. Please keep in mind that there is a matching HK COO (related) with exactly the same face and facial details! This one can hardly be determined for sure, so the question is if the Kenner ROTJ 65 really contains the No Coo (IMO)! I will therefore only keep an eye on the POTF and the Meccano 65 back! So we have two Yodas that share the same No COO and were released on two (at minimum) different cardbacks. We know Meccano never produced figures on their own so the question would be if the very same Asian factory producing both figures changed the production while delivering the factories that packed them on POTF and Meccano card! There were observations made by Carlos, Mirco, Lee and myself over the years and I try to give a short breakdown what is assumed to be the difference! But please have in mind that these differences have occured while producing those figures doesn't mean it is necessarily the same destination they were packed! That means: Both of those variations can occure on both cardbacks! This can't be proven now but maybe in future. The "full balck" eyes are IMO just oversprayed. The slit (pacman shaped eyes) can be present more or less on the black eyed ones. The brownish eyes can vary. 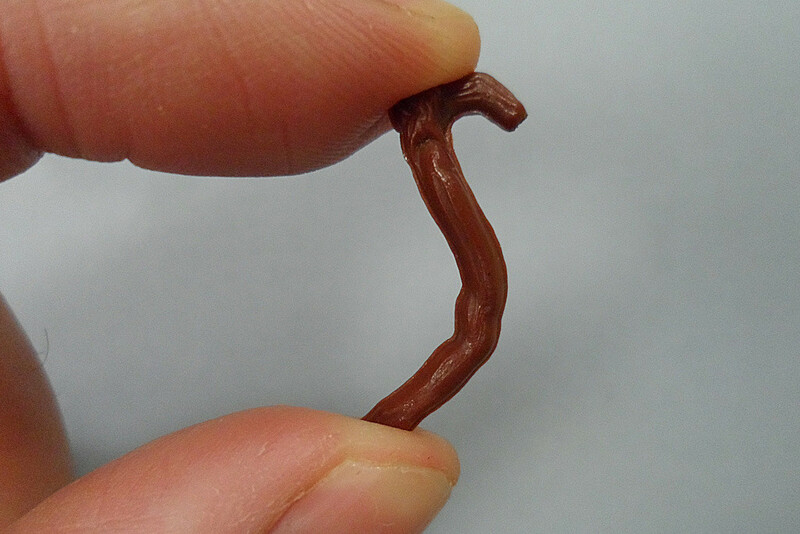 They are not really brown but are also not solid balck. The amount of color used while spraying those will result in lighter or darker bronish ones. The always have very clear "pacman" shape and form. Note that my POTF snake is discolored! The question about the accessories is difficult, but from the MOCs we have seen above at least the colors on snake and cane are 100% proven. IMO these both come with "noncircled" accessories. 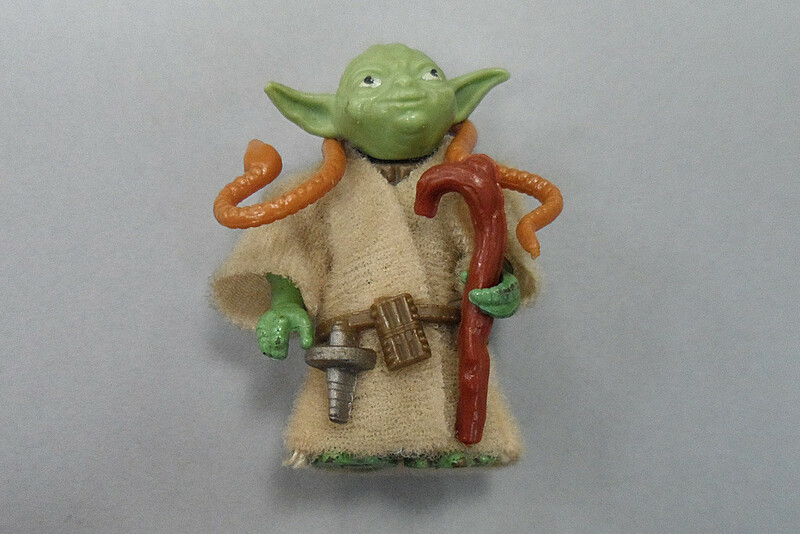 Stephen always called the ones with EPM "European Yodas" because he hasn't seen circled accessories on Kenner cards. 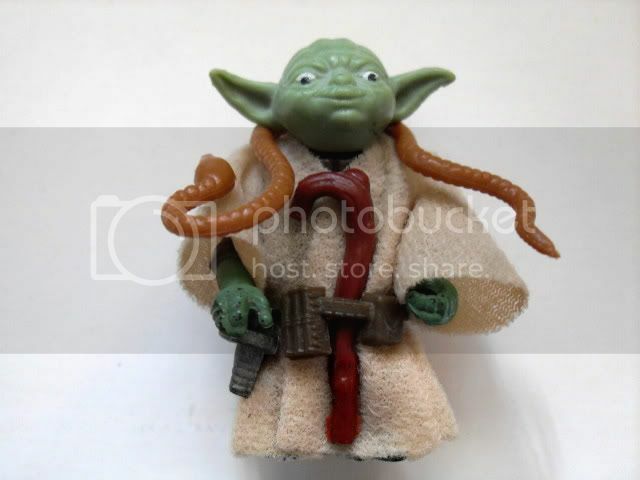 The related HK Coo to this POTF/MEC Yoda appeared on Kenner cards and therefore has "uncircled" accessories. 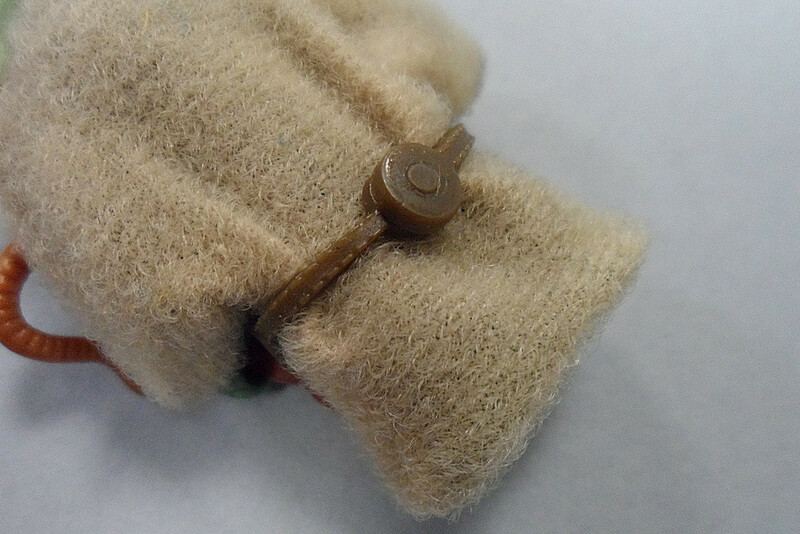 Regarding that the steelmolds normally go together (accessories and figure) the No Coo therefore should come with "uncircled" accessories in both cases (like my examples). 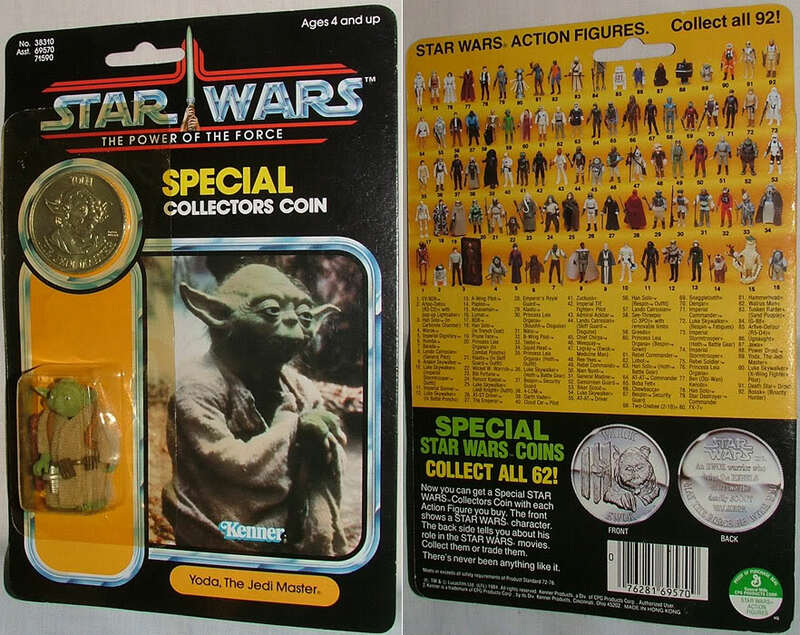 Of course many of those got mixed up in the last 30 years....so not every Yoda found in the wild comes with its original accessories. This is a first attemp to give some answers and I hope you like it! 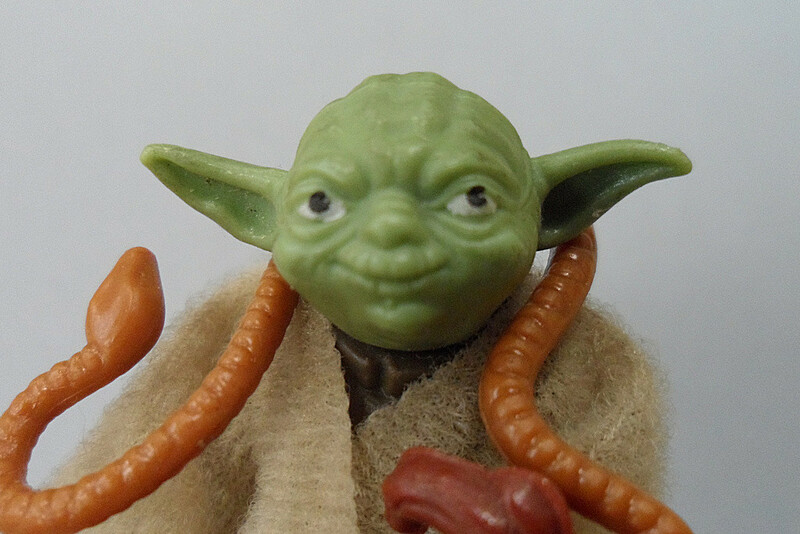 My 'Mecc' Yoda from a childhood French collection containing several other Tri/Mec variants. yup...forgot the rubbery cane on Mec...havent checked on POTF....my pictures above are old...about 2012?? But great to have more matching examples. The question stays: Did this variant also appeared on POTF crads or do all POTF ones look different?!?!? 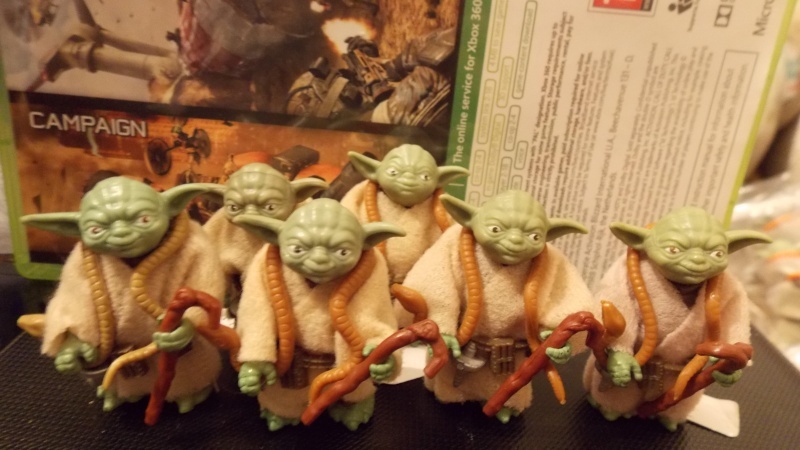 here is some of my mec yoda`s .